We are proud to be a triple-accredited company. We hold ISO 9001:2015 (Quality) , ISO 14001:2015 (Environmental) and OHSAS 18001:2007 (Health & Safety) certification. An OHSAS 18001: 2007 for Occupational Health & Safety Management System and recognized ISO 14001:2015 for Environmental Management System Accredited Company. The Policy and Objectives of the HSE Management System is defined by the Top Management and is driven down to the workforce. Adherence to Health Safety & Environment Management System is the first and foremost responsibility of the Nash Engineering employees. 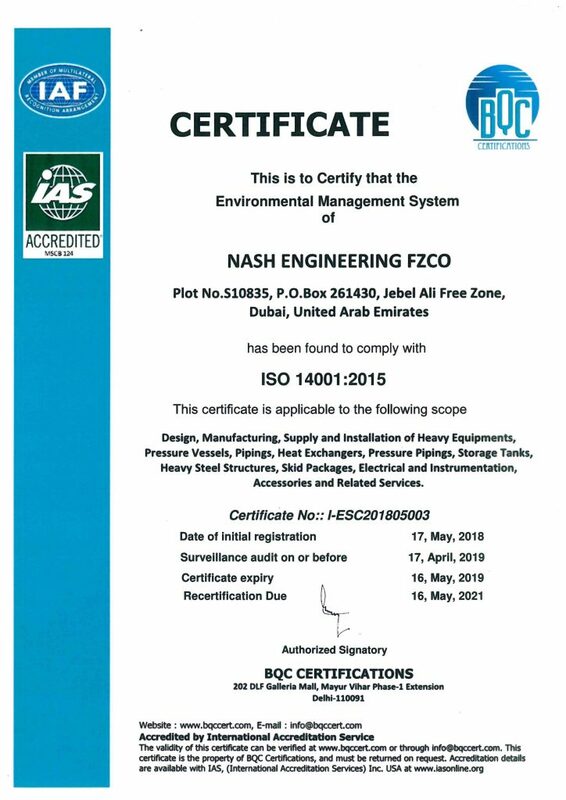 To fulfill the requirements posed by the Client, Nash Engineering has established their safety management system with own HSE team and obtained required authority permits, perform HSE inspections and ensure that the safety management system is implemented in the projects. 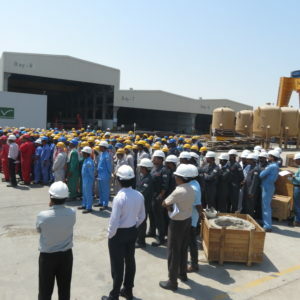 We have established the health, safety and environmental program for the activities. In addition, Nash has developed documented HSE procedures and risk assessments for potential hazardous work activities. According to the HSE program, toolbox talks shall be carried out to ensure that all personnel are aware of specific hazards in their work area. In addition to the general HSE induction training and job specific training is to be provided depending on the project activities. 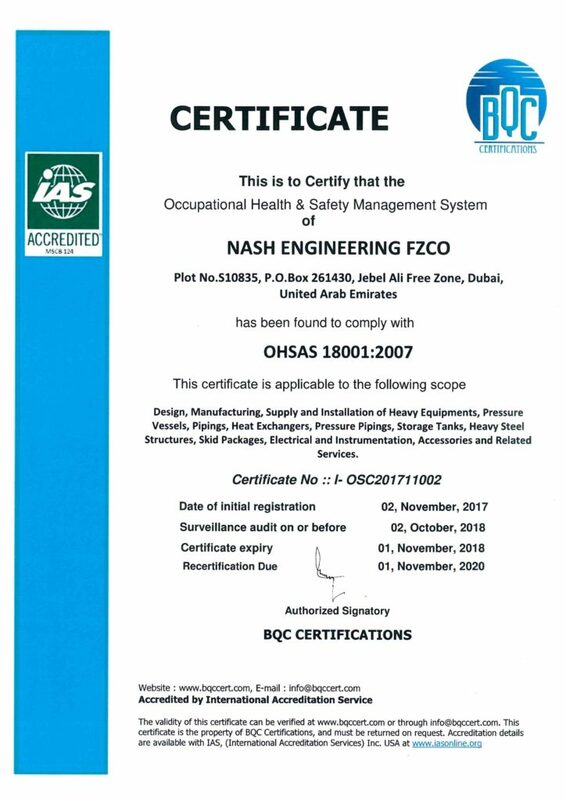 HSE program also states that all the activities carried out by Nash employees and Sub Contractors shall be closely monitored by site supervisors and engineers, HSE team to ensure compliance with HSE rules and local regulations. 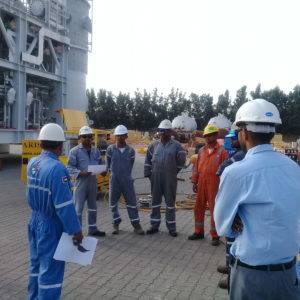 HSE team carries out daily site inspections as well as HSE Officers are present on the site where work is being performed and records hazardous situations for all work activities going on at that area. 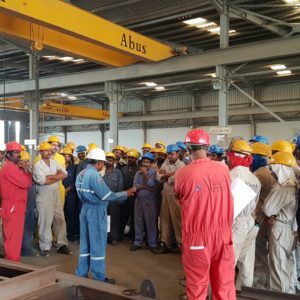 Inputs contributed by the employees on the organizational growth and proactive approach in terms of HSE are suitably rewarded by the Top Management to ensure a positive HSE culture and continual improvement.